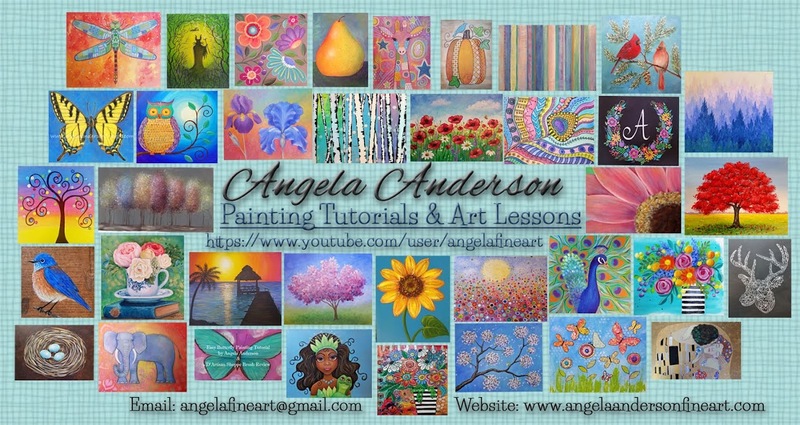 I decided to update my business cards and use my photoshop program to do a collage of my paintings on the cards. I had fun with it and did a vertical design filled with images from several different paintings. This design was actually one that I used for several years. The header was on my website pages and promotional materials. Most of the paintings in the header were created from 2005 to 2008, and all but the birches on the end are sold now. Free Song by the Generationals! This song that I used in my latest YouTube video "Jezebel Butterfly" is free on Amazon. It's a fun, up-tempo song with a retro feel. I got the whole album because I liked the song so much. Just had to pass this on! The Arkansas Art Center is hosting an exhibit through June 26th called The Impressionists and Their Influence. I am SO gonna go! I love, love, love Impressionist art. I've often wondered why my style isn't more impressionistic because I love it so much. It is amazing to me that it was so controversial at the time. Many artists couldn't even sell their work. "Impressionism is not a movement, it is a philosophy of life." - Max Liebermann"
Here is my entry for this week's Spoonflower fabric design contest theme, "Black & White". There are 27 pages of designs to scroll through for this week's contest. So many really pretty ones too. If you have a few minutes please vote. If you click on the link above it will take you to the contest page. 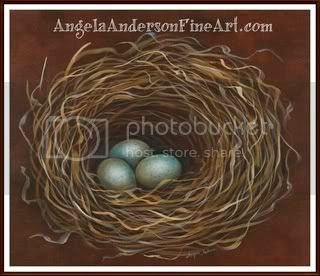 The Arkansas River Valley Art Center is hosting my artwork at the Lake Dardanelle State Park's Visitor Center during the month of May. Check it out if you are in the area! 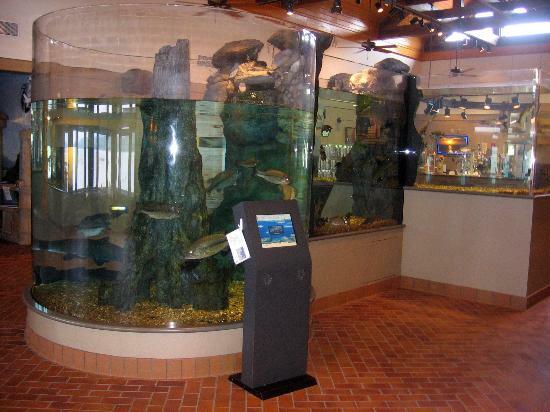 It's a gorgeous building with amazing exhibits and aquariums. The view from the back deck is spectacular too. A perfect picnic spot! I just had to share the link to the new Fleet Foxes album. It is on sale for $3.99 today only at Amazon.com. Incredible!! If you don't know their music think Simon & Garfunkel for the 21st century. Beautiful harmonies & folk guitar. I LOVE their first album, it is one of my all time favorites, and I was so excited to see that they were coming out with another album after 3 years. I was already planning on buying it today and then found that it was Amazon's album of the day! Fleet Foxes are from Seattle and the members of the band are Robin Pecknold, Skye Skjelset, Josh Tillman, Casey Wescott, Christian Wargo, and Morgan Henderson. The first Fleet Foxes album (Fleet Foxes) was released on Sub Pop in 2008, and though the band s intention was to record a new album in the 6-8 months following its release, the reception of the record was such that Fleet Foxes found themselves very busy, touring consistently through the end of 2009. Engineered and mixed by Phil Ek and co-produced by Phil and the band, the new Fleet Foxes record is called Helplessness Blues. Recording for Helplessness Blues began in April 2010 at Dreamland Recording in Woodstock, NY and continued off and on through November of that same year back in Seattle at numerous studios, including Bear Creek, Reciprocal Recording and Avast. Like very nearly every worthwhile thing, making this album was not easy; it was a difficult second album to make. Drawing inspiration from folk/rock from about 1965 to 1973, and Van Morrison s Astral Weeks in particular, Helplessness Blues sees Fleet Foxes heighten and extend themselves, adding instrumentation (clarinet, the music box, pedal steel guitar, lap steel guitar, Tibetan singing bowls, vibraphone, etc., along with more traditional band instrumentation), with a focus on clear, direct lyrics, and an emphasis on group vocal harmonies. We have it on good authority that the album is called Helplessness Blues for at least a couple of reasons. One, it's kind of a funny title. Secondly, one of the prevailing themes of the album is the struggle between who you are and who you want to be or who you want to end up, and how sometimes you are the only thing getting in the way of that. Having heard Helplessness Blues, we mean to get out of its way.